Parents can sometimes feel they don’t do anything but nag at their children. But when referring to the commands that Swedish parents give their children, LiU researcher Asta Cekaite uses the word “negotiate”. In a recently published book she investigates the social relationships within a family, and how parents get their children to do what they want them to do. “How we get our kids to do what we want is very reliant on culture. Swedish parents hardly ever give their kids a direct order, instead they wrap it up into questions. Or they use phrasings where the demand seems like an offer”, says Asta Cekaite, professor at LiU’s Child Studies, who has studied children’s behaviour for some 20 years. Together with the American anthropologist Marjorie Harness Goodwin, she has written a book on relationships in families. By recording parents and children in their day-to-day life, they have been able to compare methods for bringing up children in Sweden and the United States. 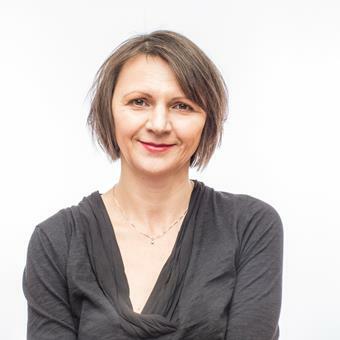 In various studies, Asta Cekaite has followed middle-class families in their daily lives, where both parents work, from getting ready in the morning to putting the children to bed. In other words, Swedish parents’ “nagging” is a negotiation, sometimes long, that follows a fairly strict pattern. Asta Cekaite has found that Swedish parents almost always start by addressing the child with a question, but then increase the pressure as the negotiation proceeds. Asta Cekaite uses the word “shepherding”, when talking about what parents often do when they want their child to do something. That is, they gently herd the child in front of them. In Sweden there is a strong belief in co-determination for children, and we are keen to involve children in decision-making. This can affect the way we address our children. The most common way Asta Cekaite has seen Swedish parents get their children to do something is the so-called “Aren’t-you” question, as in “Aren’t you going to brush your teeth?”. The question implies that the child has a choice and can be part of a decision, but the more the negotiation proceeds, the more the option of a “no” answer is closed. “The child is offered a false option. Brushing your teeth isn’t actually negotiable. In the end, the child will do what the parent wants”, she says. In her studies, Asta Cekaites saw that of one hundred “Aren’t-you” questions asked by parents, only once did the child answer in the positive. To give an example of how accustomed children are to the question-asking ritual, Asta Cekaite tells of how a child she knows was upset by her teacher, because the teacher always “started yelling right away”, that is, simply skipped the questions and went straight to the command. Children, on the other hand, have various techniques for getting out of doing what they’re asked to do. After ignoring their parents the first few times they are asked to do Photo credit: Franziska und Tom Werner Photographysomething, one common strategy is to appeal to the parents: “Please, please, pleeeease, just five more minutes!”. American children, on the other hand, more often give a clear “no” to the parents, and are more confrontational. Could Swedish parents change the way they speak to their kids, to something that works better? Embodied Family Choreography, Marjorie Harness Goodwin and Asta Cekaite (2018). Routledge. Education and research at Child Studies is about childhood and family with a focus on interaction and language, children’s culture and consumption, and childhood over time and space, all to better see the perspectives of children and young people.